The first outdoor pay and play laser gun attraction for youngsters and their parents has been launched at Hatton Adventure World near Warwick, in time for the Easter holidays. Called Laser Combat, the £70,000 laser tag game is expected to be a major attraction over Easter, said Adventure World manager Richard Craddock. The games, which include Team Death Match and Capture the Flag, last 40 minutes and can be played with up to 40 children and parents at a time. This includes a health and safety briefing, getting kitted out with high-tech gear, dressing in army uniforms and being armed with MP5 style submachine guns. “The staff have been brilliant, designing and building the bespoke half-acre arena full of obstacles such as sandbags, broken buildings and crates painted to look like explosives” added Richard. Management at the park, which has until now primarily appealed to younger children, said the laser game had been introduced for children aged eight and above, and accompanying adults. Other recent attractions for that age group include a reptile house, an assault course and the new code-cracker game, comprising a series of riddles around the adventure park. Laser Combat will be available during normal park opening times (between 10am and 5pm) and is included in the entry price. Notes: Laser Combat is only for children over the age of eight and more than 1.2 metres tall. In addition, the school holidays will also feature falconry displays, fun fair rides, an indoor soft play area, a miniature JCB driving zone, children’s shows, a disco and the opportunity to meet farmyard animals. Visitors will also be invited to pick a bunch of daffodils to take home. Hatton Adventure World is located just off the A4177 between Warwick and Solihull. For further information call 01926 843411 or visit www.hattonworld.com. Added note these photos were sent to be used on this post with added consent courtesy of Hatton Adventure World. Last year we took the children to Alton Towers and they spent most of the visit in Cbeebies Land, whilst mummy took them on The Numtums ride I stood and watched this beautiful Koi Carp and others swimming around in the nearby pond, so for this week's letter. 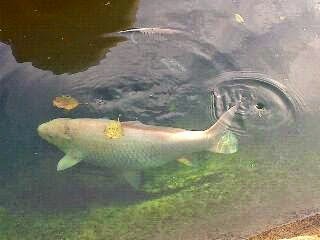 K Is For ...... Koi Carp. 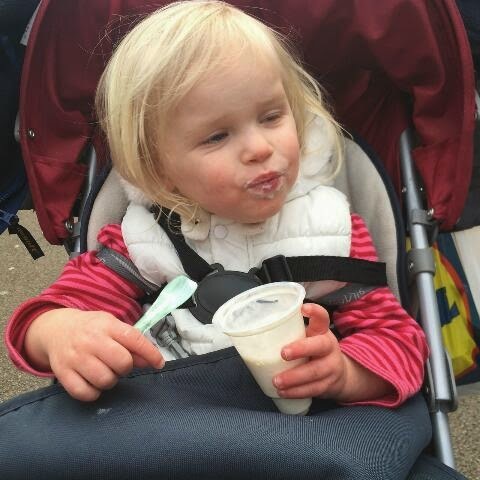 This week mummy brought the children a ice cream as a treat. Easter EGGstravaganza @ Hatton Adventure World. Our next event is fast approaching at Hatton Adventure World! We will be running our Easter Eggstravaganza from Saturday 28th March to Sunday 12th April 2015. Easter 2015 sees the launch of our BRAND NEW feature at Hatton Adventure World, Laser Combat. Over 8's can enjoy this exciting outdoor activity. Don’t worry there is still plenty going on for the younger children too with all the usual Easter fun for the whole family, from Easter Bunny Hunts to our Easter Garden where children can search for eggs to exchange for chocolate treats. Our full programme will be operating including tractor rides, bouncy castles, panning for gold as well as all the usual animals plus indoor and outdoor adventure play. We are planning on going to Hatton Adventure Farm over the Easter Eggstravaganza period so I'll report back very soon on all the adventures we had on our visit. 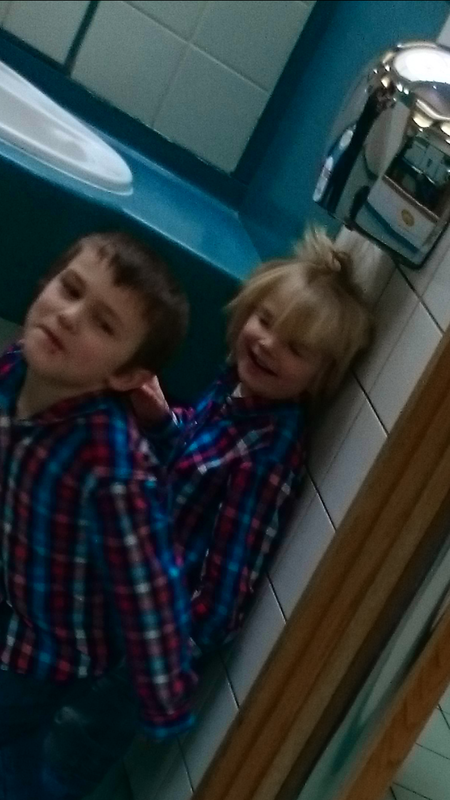 Took this pic to send to mummy from the kids whilst she was out the other night, didn't notice L-A's teeth clearly till after I sent it, but spooky I thought lol. Back in 2007 my wife and I went on holiday to Walt Disney World in Florida. 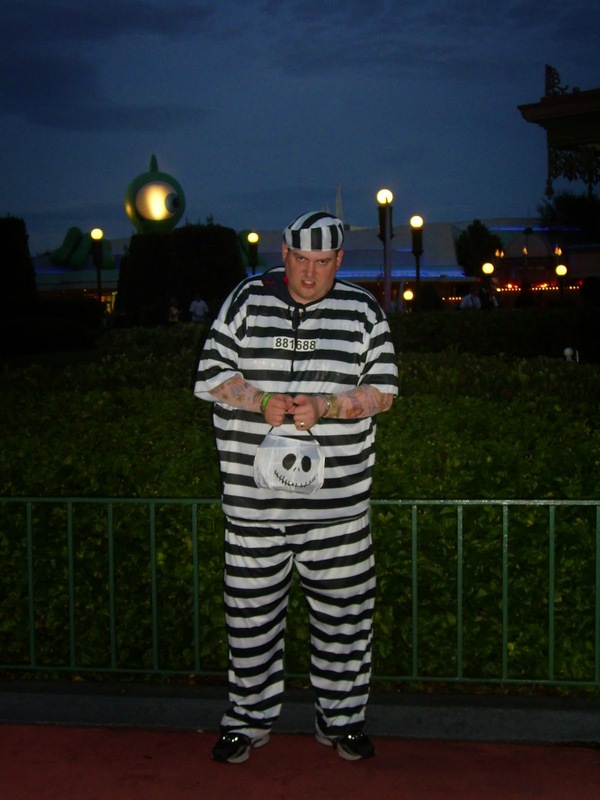 Whilst we were there we went to Mickey's Not So Scary Halloween Party and I dressed as a jailbird, so for this week's letter. J Is For ...... Jailbird. 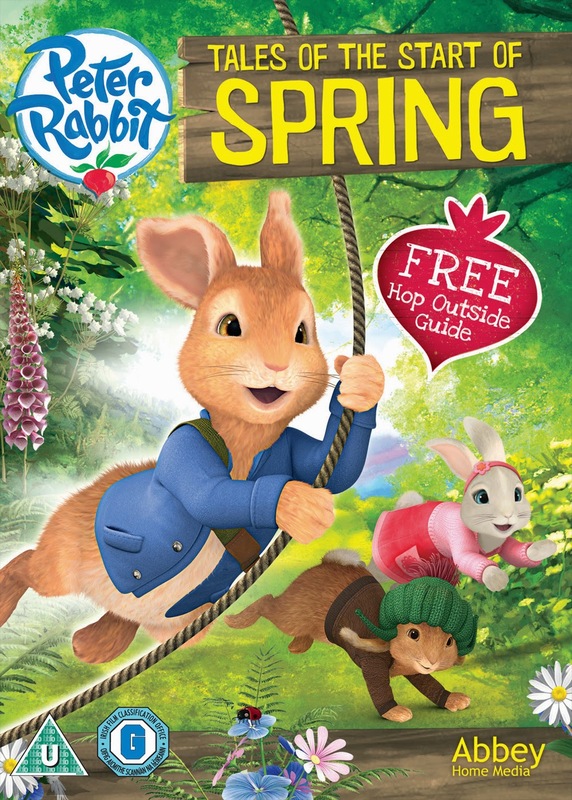 Hop into springtime with the first ever DVD release for the new Peter Rabbit animation series. Beatrix Potter’s wonderful stories have charmed and entertained children for generations. Now fans can enjoy the brand new adventures of her timeless children’s classic Peter Rabbit in the first ever DVD collection of episodes from the new animated series. The Peter Rabbit – Tales Of The Start Of Spring DVD is released by Abbey Home Media on Monday, March 30th and is a perfect Easter gift idea. Follow our hero Peter and his friends Benjamin Bunny and Lily Bobtail on their adventures as they encounter real dangers, overcome obstacles and outsmart predators, all the while finding fun and excitement in the most unexpected places. Now here's your chance to win a copy of this fabulous DVD. Ei ELECTRONICS SUPPORTS ‘TICK TOCK TEST’ CAMPAIGN. 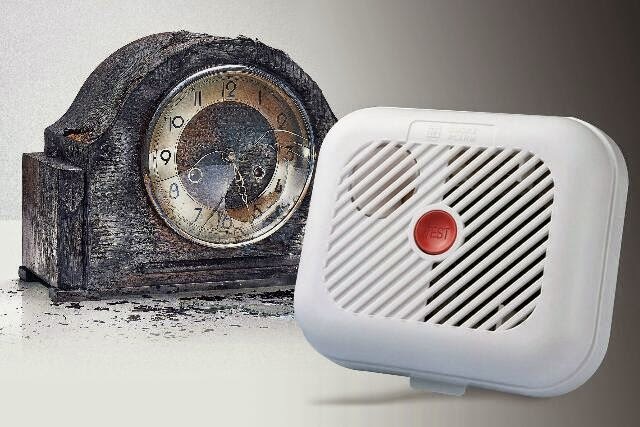 Residential fire safety partner Ei Electronics is once again supporting the Fire Kills campaign to make people aware of the importance of regularly testing smoke alarms. Based on the theme “Tick Tock Test”, the campaign starts on the 16th March. 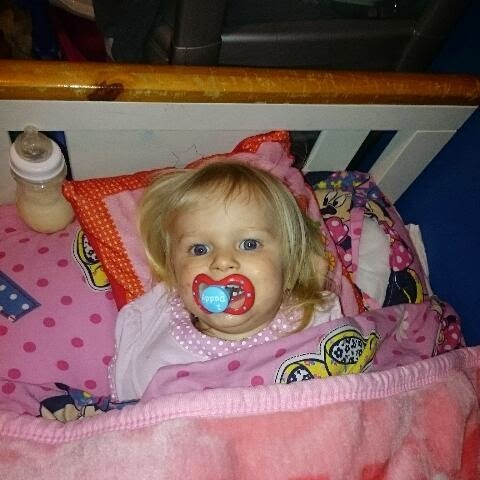 The Fire Kills campaign is held annually by the Department for Communities and Local Government to educate people about fire safety to help them prevent fires; Last year over 200 people died in fires in the home. Statistics show that you are at least 4 times more likely to die in a fire in the home if there is no working smoke alarm. Regularly checking your smoke alarm is just as important as fitting the alarm in the first place. Checking your smoke alarm takes no more than a couple of minutes each week and being too busy or forgetting could cause damage to your home or even worse, your life. The Ei100B from Ei Electronics – which responds to a wide range of fires – is an easy to install, battery operated smoke alarm which starts from just £5 an alarm, which isn't a lot of money to put aside to potentially save you and your family’s lives. When you test your smoke alarms you could help test the smoke alarm of an older family member, neighbour or friend too. It takes no time at all and gives your family and others a much better chance of surviving a fire. The Ei100B from Ei Electronics can be purchased from Wilkinson or online at Amazon UK. Now here is your chance to win one of two bundles of FOUR smoke alarms (RRP £5 each) I have up for grabs for your home to give you that little extra peace of mind and help protect your family against house fires. Friday Mummy went off to Blogon Cymru so daddy was left looking after us. By the time we got back from the train station from dropping mummy off and having lunch there was only an hour left till we had to go and pick big bro up from school, so daddy suggested we went to the park again. Awesome we thought, we loved going there on Monday and couldn't wait to go back, we didn't think it would be so soon but we're glad it was it's awesome there. We played a little on the small children's play area then persuaded daddy to take us on the big children's area for longer this time compared to our short visit on Monday. We went on the big climbing area which was really really cool, it has a awesome fast slide which we both really loved going down. Daddy took TP along the climbing course holding his hand tightly to make sure he didn't fall but also letting him see how fair he could go by himself. I went up and over and round the tunnel bit again and again whilst daddy pushed TP in the big circle swing thingy and also round and round in the silver shiny spinning thing, how he wasn't sick I'll never know. 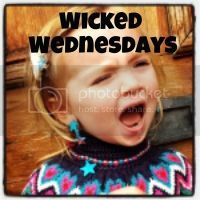 It was almost time to collect JR from school but before we went daddy pushed TP on the swings whilst I played on the slide, how much fun we had, can't wait to come back again really soon I hope. I Is For ...... iPhone Cover. 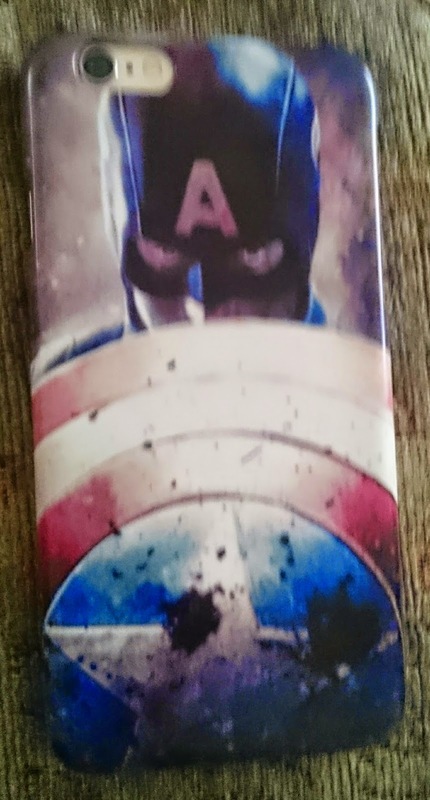 Sorry folks I've been a little boring with this one well not so if your a Marvel fan like my wife and I and think her iPhone cover is pretty cool. The boys realised they could see themselves in the mirror whilst blow drying their hands or hair as it turned out to be lol. This is a close up of them in the mirror. H Is For ...... Honey Monster. Last week my wife and I took the children to Merry Hill Centre to meet the Honey Monster, the kids were given loads (14 to be precise) mini boxes of sugar puffs to take home for breakfast and they were also given a cute honey monster cuddly toy. All I asked her to do was smile and this was her response lol. This afternoon whilst mummy was getting her hair cut ready for her weekend away at Blog on Cymru daddy took us to the park. As soon as daddy opened the gate to the play area we were gone, straight onto different climbing frames, in different directions, which meant daddy stood there with his head spinning wondering which way to go first lol. Once we got bored of this area we got daddy to take us down to the big kids area, this was well awesome with bigger things to climb on and funny things to sit in and be spun round in. Before we had to go and fetch big bro from school we had one last go on the swings which little sis didn't really enjoy at first but once she got used to it she didn't want to come off lol.